Columnist, script editor, director of Red Nose Day, rabbit owner, Mary Berry once came to my house. How to cook a takeaway. Emma Freud finds out how to make her family’s favourite takeaways at home. But do they taste as good? What If Kids Ate Food From Your Childhood? Emma Freud ‘treats’ her family to the food she grew up with. Were they impressed? Weddings aren’t what they used to be. Goodbye poached salmon and fizz, hello food trucks and tequila shots. Emma Freud explores new trends in wedding food. Fresh ways with old liquor. In the spirit of our eco issue, Emma Freud shares her favourite ways to use up leftover booze. Dinner with a big helping of drama. Sometimes three courses just isn’t enough! Emma Freud develops a taste for theatrical restaurant experiences. Mums, teach your sons how to cook. If we want men to cook at home, let’s start with the boys, says Emma Freud (mum of three sons). Dear potato, how I love you. Baked, mashed, roasted – and definitely in a Dauphinoise. Emma Freud gives spuds star billing. Each month Emma Freud explores the British food scene – she begins by creating a six-course meal made entirely of cauliflower. How to eat like a New Yorker highlights. Emma Freud recalls the highlights and lowlights of her year exploring the New York food scene, from grasshopper tacos to deep-fried Thanksgiving Turkey. Put your email address here and I'll let you know when a new article gets written. Unless it's not a very good one in which case I won't disturb you. 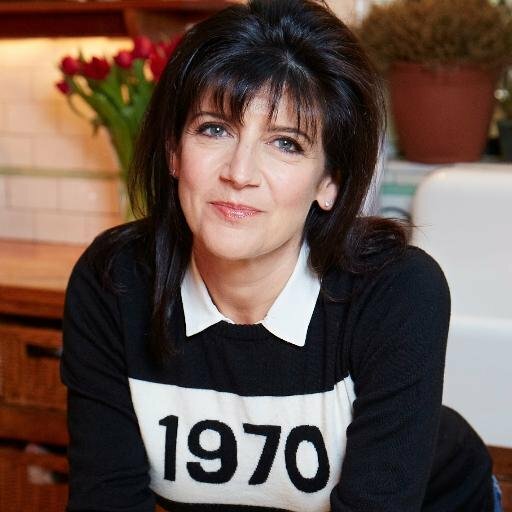 Emma Freud Cooks for Jack Monroe. Emma Freud cooks for Asma Khan. Emma Freud cooks for Jose Pizarro. BBC GOOD FOOD column: The Indian Summer BBQ. The day I was mistaken for being Richard Curtis's daughter. How to have a Hipster Christmas. Help, I've got a ticket to the Met Gala! emma freud spends 4 days making 1 loaf of bread. The day I gave out free advice in Washington Square Park. The greatest 2 ingredient recipe EVER… ICE CREAM SCONES. How planning Red Nose Day resulted in an unexpected religious experience. The day I tried a 1,600 calorie milk-shake. What happened when I became a cowgirl for the weekend.